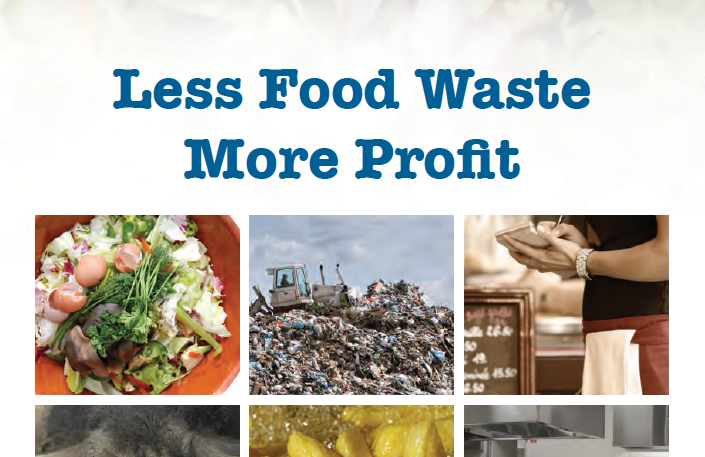 This guidebook, Less Food Waste, More Profit: A Guide to Minimising Food Waste in the Catering Sector, produced by The Clean Technology Centre provides a detailed and valuable resource for restaurants, hotels, canteens etc. to reduce their food waste. Areas covered include: Purchasing, Storage, Kitchen, Serving, Storage – Post Cooking. The guide also provides information on Waste Management, Food Reuse, Recycling, Treatment/Disposal as well as Fats, Oil & Grease. PDF, 32 pages, 4.5MB.